A fun way to stay in Warnemünde is this youth hostel located in the edifice of a former weather station. 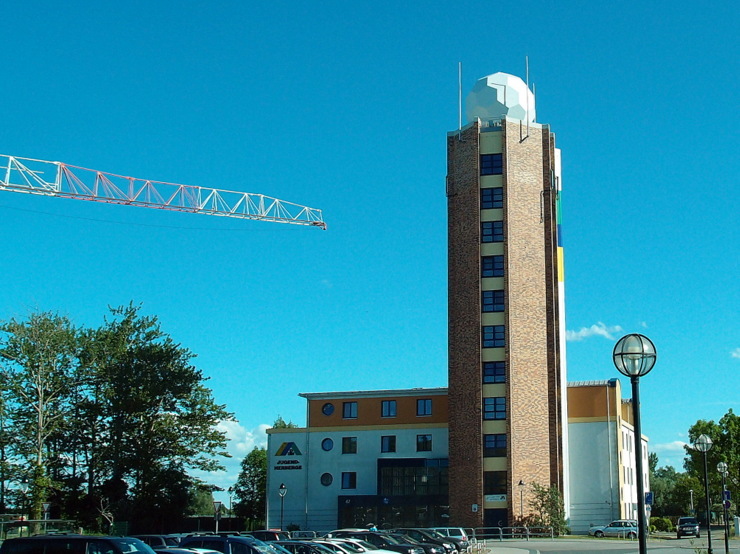 The equipment on top of the tower is still used for providing datas for weather forecasting. This entry was posted in Accommodations, Hotels and tagged Germany, Mecklenburg-Vorpommern, Rostock, Warnemünde by Travelwriticus. Bookmark the permalink.